Police Ombudsman Al Hutchinson is facing a `week of woes’ as his professional future hangs in the balance. On Monday the Criminal Justice Inspectorate (CJI) is due to publish a damning report into the activities of the Office of the Police Ombudsman’s Office (OPONI) under Mr Hutchinson’s leadership. On Thursday the ombudsman will face more questions when he is called to give evidence at the Assembly’s Justice Committee at Stormont. Sinn Fein, the SDLP and a number of human rights groups all called for Mr Hutchinson to resign or be sacked when the Detail revealed the contents of the damning CJI report last month. Ombudsman sources last night admitted that Mr Hutchinson will now be forced to break the self-imposed silence that he has maintained since the Detail revealed the serious problems inside OPONI. The report, which is due to be published at 11am on Monday, recommends that historic investigations should be suspended from OPONI until serious governance issues are satisfactorily resolved. WHAT NOW FOR THE OMBUDSMAN’S OFFICE? However sources in the ombudsman’s office believe that elements within the Northern Ireland Office (NIO) and unionist politicians will attempt to use the report’s findings as an opportunity to permanently strip the ombudsman’s office of its powers to investigate historic cases. In the past Mr Hutchinson has publicly stated his belief that OPONI should not be burdened with investigating historic cases. Secretary of State Owen Paterson and senior unionist politicians have also previously expressed the wish to remove historic cases from OPONI and pass the responsibility to a new body to be merged with the Historic Enquiries Team (HET). Nationalist politicians have vowed to oppose any attempt to remove historic cases from OPONI. In June a report by the Committee on the Administration for Justice (CAJ) was also highly critical of OPONI. The issue of Mr Hutchinson’s immediate fate, and more importantly the future of the ombudsman’s office, now hangs in the balance with the political fall out of the CJI report in coming days. In 2001 the European Court of Human Rights (ECHR) found the British government guilty of having failed to properly investigate the murder of 12 nationalists. As a result of that ruling the British government is now obliged under international to provide families, who feel that the police have failed to properly investigate the death of their loved ones, with a means of having their complaint investigated by a watchdog which is independent of the police and NIO. Following the ECHR 2001 ruling that task was handed to Northern Ireland’s first police ombudsman Nuala O’Loan, who had just taken up office. 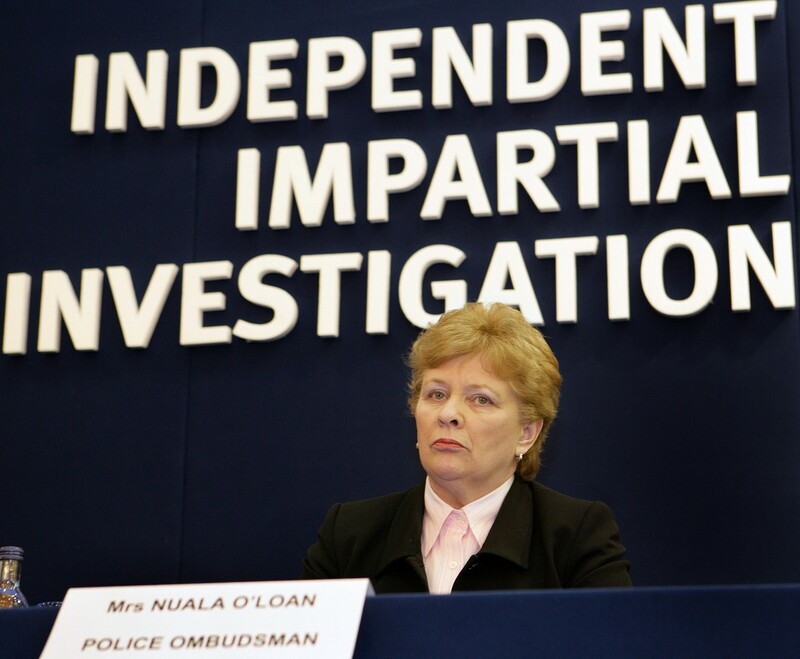 In the seven years during which Mrs O’Loan was at the helm of OPONI it carried out a number of high profile and damning investigations into serious failings in the RUC and later the PSNI. Those investigations included the RUC/PSNI’s handling of the Omagh Bomb, the murder of Bellaghy GAC chairman Sean Brown and the protection of Mount Vernon UVF leader Mark Haddock from involvement in 11 murders because he was a Special Branch informer. Mrs O’Loan also defended the actions of the police, ruling out collusion in the murder of Rosemary Nelson and defending the rights of police to use plastic baton rounds in riot situations. 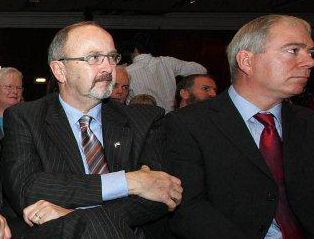 However nationalist politicians and human rights groups have repeatedly expressed concern at an apparent change of direction in OPONI following the appointment of former Canadian Mountie Al Hutchinson in November 2007. In the four years since Mr Hutchinson has taken up office OPONI’s investigation into historic cases appears to have been seriously curtailed. Since its launch in March, the Detail has repeatedly exposed serious issues of concern within the ombudsman’s office, including the fact it will take Mr Hutchinson another 50 years to complete his investigations of historic cases, if he continues to investigate just two cases each year. 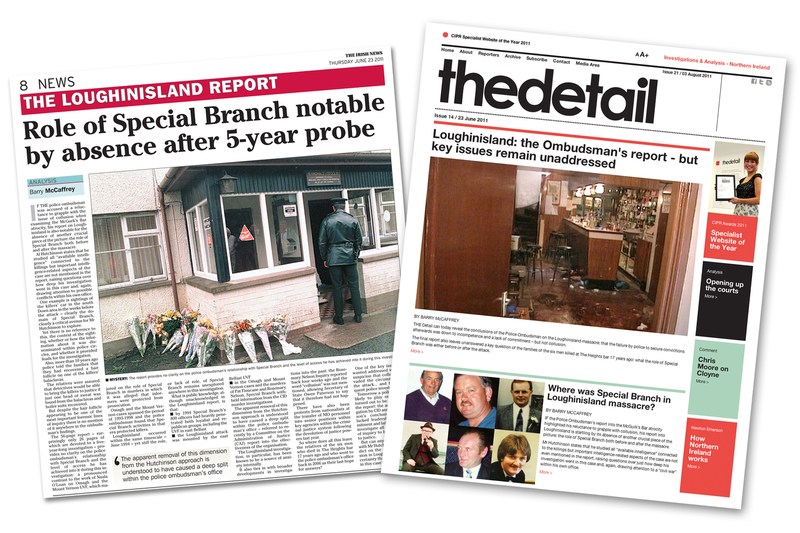 In our third ever issue the Detail revealed how a key witness in the UVF murder of six men in Loughinisland in June 1994 – the subject of an Ombudsman investigation – believed that police had deliberately ignored her evidence identifying one of the suspect killers. 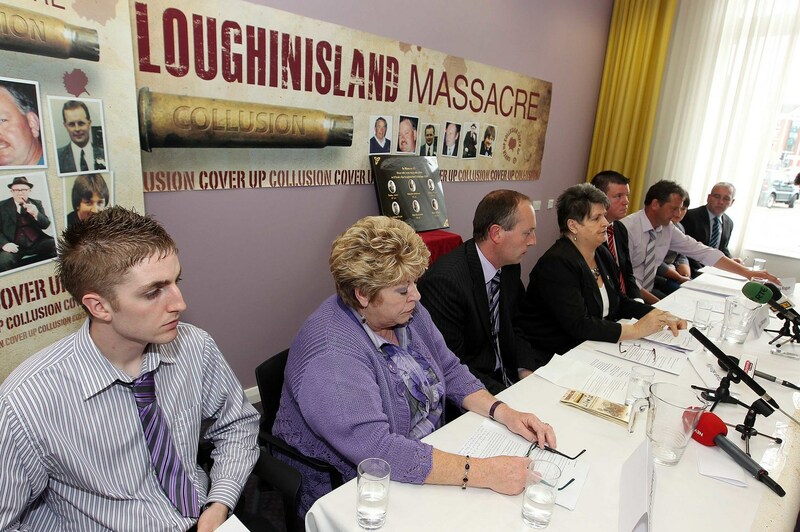 The Detail further revealed the Loughinisland families’ frustration that the Police Ombudsman’s report into the murder of their loved ones, which had been delayed for five years, would turn out to be a `whitewash’. In issue 5 of the Detail we revealed how families of other Troubles’ atrocities were threatening to withdraw support from the Ombudsman, over what they felt were unnecessary delays in the investigations of their loved ones’ murders. In an interview with the Detail Mr Hutchinson rejected claims that there was political interference within the his office. “Let me assure everybody that there is absolutely no political influence on this office and if there was the public would hear about it,” he told this website. 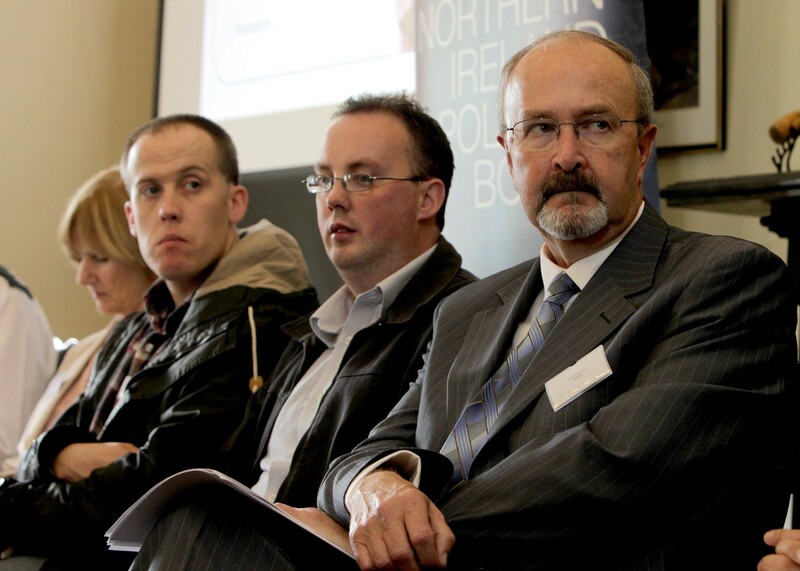 Within days it emerged that the ombudsman’s own chief executive Sam Pollock had in fact resigned, claiming that the Northern Ireland Office was attempting to interfere with OPONI. In issue 14 the Detail exclusively revealed the contents of the ombudsman’s report into the Loughinisland massacre and how it had failed to examine any of the major issues of concern which had been raised by the victims’ families five years before. We revealed how the Loughinisland report failed to even mention the role of Special Branch in the events surrounding the atrocity and how the ombudsman had failed to address the key issue that informers had been involved in the massacre. It has since emerged that senior officials within the ombudsman’s office had been outraged after Mr Hutchinson had refused to tell them whether informers had been involved in the Loughinisland attack. Six weeks later the Detail again exclusively revealed the content of the CJI’s damning investigation into Mr Hutchinson’s office. That report, which will be officially published on Monday, reveals how Mr Hutchinson’s key staff refused to accept his assurances that key intelligence was not being withheld from them. The Detail also revealed how CJI inspectors found that OPONI reports were rewritten without any explanation to ombudsman investigators. The CJI report said that the final arbiter in the rewritting of ombudsman report was its Senior Director of Investigations (SDI) Jim Coupland. The most serious incident of reports being rewritten without explanation took place in a case known as the `Good Neighbours’ bomb. In 2005 the ombudsman’s office had been asked to investigate the RUC’s handling of an IRA booby trap bomb, which killed three neighbours on the Creggan estate in Derry in 1988. Sean Dalton, Sheila Lewis and Gerard Curran died after a bomb exploded as they checked on a neighbour’s flat. Unknown to them the IRA had abducted the flat’s owner and left a booby trap bomb to kill members of the security forces who would come to look for him. The victims’ families asked the ombudsman to investigate allegations that the police had known the flat had been booby trapped, but had allowed the three civilians to die in order to protect an informer. In 2008 ombudsman investigators completed a draft report of the `Good Neighbour’ bomb. The report was submitted to the ombudsman’s senior management team, known as the Critical Review Panel (CRP), for approval before it was made public. 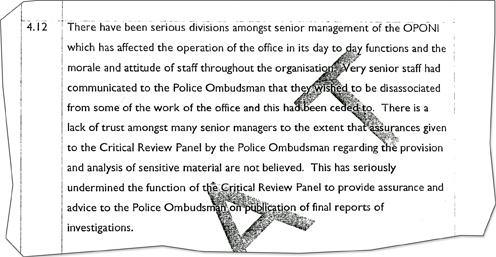 In May 2010 the report was circulated amongst OPONI senior staff, with the ombudsman’s investigator being led to believe there was agreement on the report’s findings. However, CJI inspectors found that within weeks the report’s findings had been `substantially’ altered without explanation. “The case illustrates a process operating by which a report which has been redrafted several times with no changes to the findings can be amended in a short space of time to provide completely different outcomes. Last week the ombudsman again postponed publication of the ‘Good Neighbours’ bomb report without explanation. Reports were also rewritten to remove criticism of police, with one senior ombudsman official `mistakenly’ believing that OPONI had an agreement with the PSNI to remove any mention of Special Branch in its report of the UVF bomb attack on McGurk’s Bar in December 1971, which left 15 people dead. Now the families of 20 people killed in the Loughinisland, McGurks and `Good Neighbour’ bomb attacks to take legal action against the ombudsman’s office for failure to carry out a proper investigation of their complaint. “Every one of these families placed a great deal of trust in the ombudsman’s office. “What has now emerged in a succession of highly damning reports is that the ombudsman singularly failed to ensure that the families’ concerns about the murder of their loved ones was properly investigated. “More importantly, these reports have exposed evidence that there were deliberate attempts to rewrite legitimate investigations into these atrocities to reduce or remove criticism of the police. “There are serious questions which need answered as to what has been going on inside the ombudsman’s office. “The families have instructed me to pursue all legal remedies to ensure they get the answers they deserve. “What must be made clear is that all of these families still believe that the ombudsman’s office is the only effective way of investigating the deaths of their loved ones.